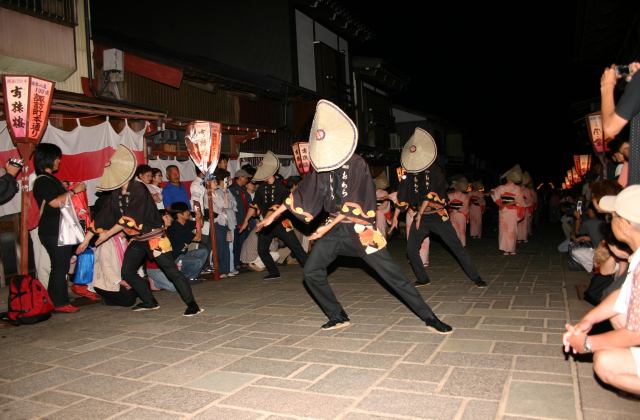 People in Yatsuo motivate themselves and practice a dance every night for the Owara Kaze no Bon, which is held from September 1 to 3. 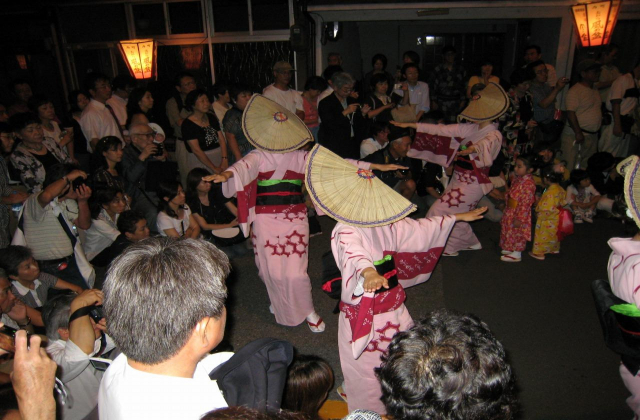 There are 11 branches and each branch presents dances from 20:00 to 22:00 each day (the festival is held for a total of 11 days). Further, before the Eve Night Festival, the Eve Festival Stage is held at Hikiyama Exhibition Hall from 18:30 during this period. An introduction video about Owara Kaze no Bon is played and explanation of how to do the Owara Dance is given. The event also consists of appreciation of the Owara Dance on stage. ・Because JR Etchu-Yatsuo Station foot holding place varies according to days, transportation after getting off at JR Etchu-Yatsuo Station may be different.